We’re back to introduce talks and topics from the Munich-AI Summit’s list of talented speakers. The summit, a first of its kind in the Munich area, was hosted by Develandoo AI Innovation LAB, on May 17, 2018. It was an AI innovation hub for renowned speakers in the field, presenting their achievements and addressing the future of AI. 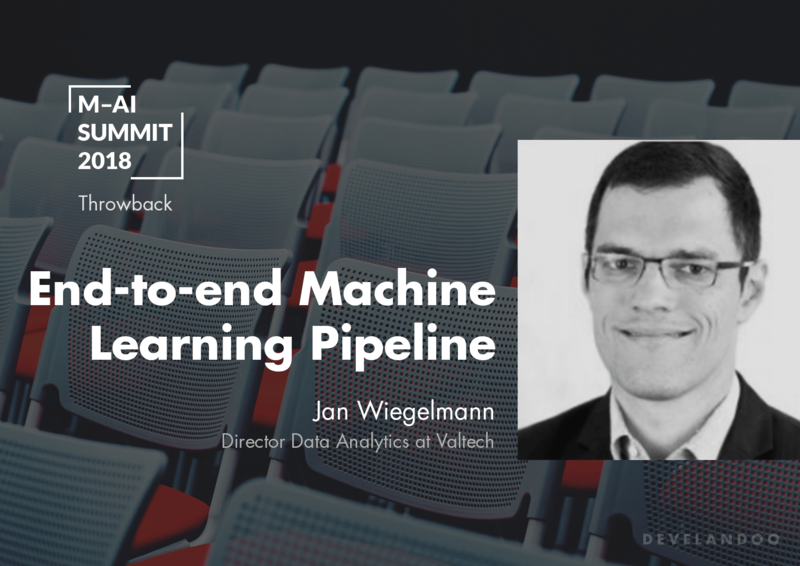 Today we’re presenting Jan Wiegelmann talk where he discussed an end-to-end array of AI use cases, going through the vast pipeline of machine learning. In this period where data is paramount, and there is a seemingly endless stack of (free) software and incomprehensible processes, Jan is the man who takes a look behind the scenes to give you access to the world behind the buzzwords of AI. He is the Director of Data Analytics at Valtech. Being passionate about data and getting things done, Jan is dedicated to helping organizations become more data-driven. He brings a wealth of experience and knowledge in building data teams, data lakes, and distributed systems. More Data + Bigger Models + More Computation = Better Results in Machine Learning. During his talk, he thoroughly explained such topics as the development cycle for autonomous vehicles, dividing it into 3 steps (collecting sensors data, model engineering, and autonomous driving). Wiegelmann also spoke about training and evaluating machine learning models at scale, how to run more experiments faster and in parallel, how to share and reproduce research, how to go from research to real products, compute workload for training and evaluation, and feature engineering. You can find the presentation video of his talk below as it’s definitely worth checking. You can also find the full videos of other prominent speakers at our AI summit by visiting our YouTube channel. We’re preparing for this year’s summit with great enthusiasm, chasing our wish to make another free and open-minded event. And again, taking the chance, we would like to thank all our sponsors, participants, and speakers for attending the Munich-AI Summit 2018, the one and only free event at Munich related to Artificial Intelligence. We invite all representatives in the field of Artificial Intelligence, AI experts, and simply those who are interested in the exchange of ideas within AI innovation and big data analytics to participate in 2019.